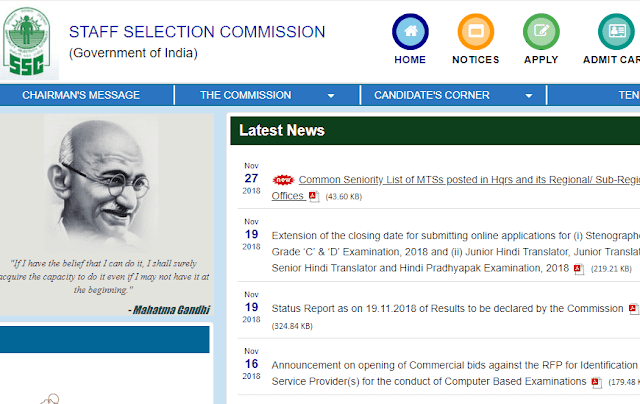 As per directions of DoP&T, the Commission has prepared a Draft Common Seniority List of MTSs posted in Hqrs and its Regional/Sub-Regional Offices and the same has been uploaded on the website of the Commission. All stakeholders are requested to review the List as enclosed, and check details mentioned therein. If any discrepancy is found, Representation/Application regarding correction of any of their details may be submitted to the Commission within one month from the date of uploading it on its website. If no Representation/Application is received within the stipulated time it shall be deemed that details as mentioned in the Draft Common Seniority List, are correct.